1. What do I need to remove from the existing opening (the window sashes, the frame or everything)? 2. How do I prepare the sides of the opening and secure the glass block window? 3. How do I trim the inside of the window? 4. How do I finish the outside? 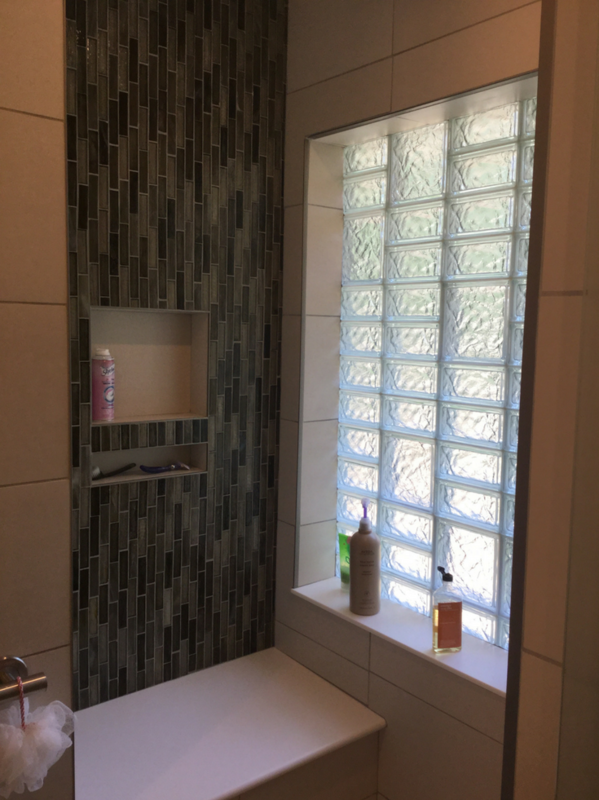 In the article below I’ll dig deeper into Jim’s questions to make it easier for anyone to have a successful glass block shower window installation. 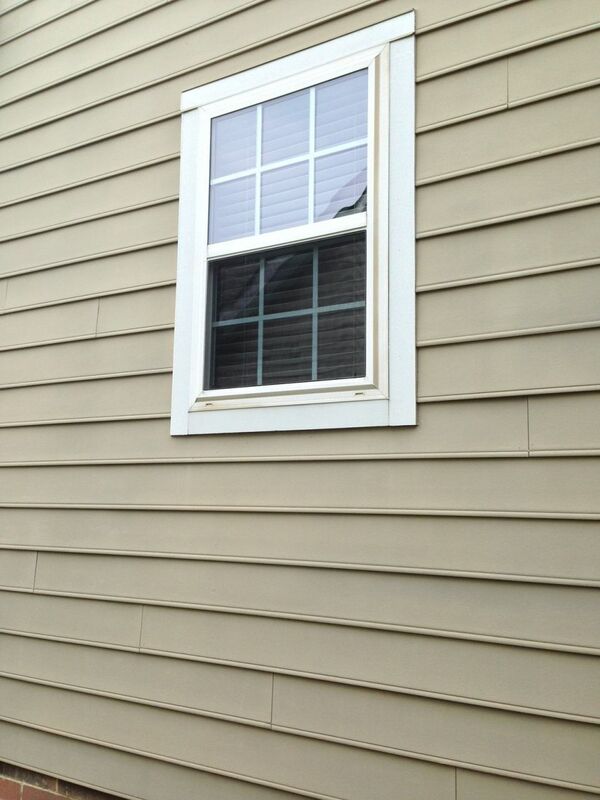 Question 1 – What do I need to remove from the existing opening (the window sashes, the frame or everything)? My input for Jim is you should remove everything which is rotten, deteriorated or rusted. 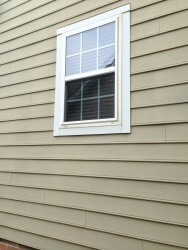 If the existing sashes or frames are not rotten or rusted at a minimum the sashes will need to be removed. In the case of a shower window you also need to consider how the inside wall surrounds will be finished. In Jim’s case he is building a new tile shower so the interior wood trim around the old window had to be removed so the new tile can be finished back to the glass block window. (see the picture in question 4 to see how this is done). 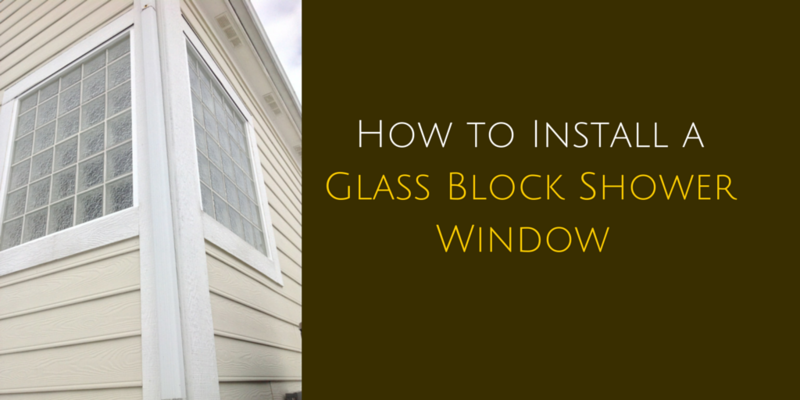 Question 2 – How do I prepare the sides of the opening and secure the glass block window? Since Jim is building a tile shower I recommended to use cement board (or a waterproof extruded polystyrene wall board) to line the opening so the glass blocks can be mortared or grouted inside the space. Jim was using grout free shower wall panels I could also have recommended the window be secured into the rough wood opening with a spray foam insulation and then return the shower panels back to the glass blocks. 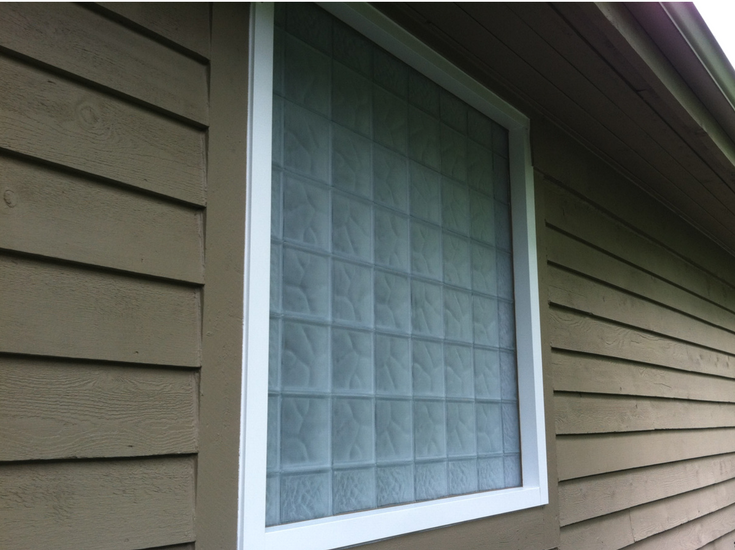 Question 3 – How do I trim the inside of the window? With this tile installation the best approach is to use bullnose tiles to go from the shower wall surface back to the block window. Where the tile meets the glass blocks a bead of clear glass block silicone should be used. Question 4 – How do I finish the outside? Since this home’s exterior is constructed with wood framing and vinyl siding I recommended to bend aluminum coil stock and “cap” the opening on the exterior to meet the glass block window. Once again a bead of silicone is used where the coil stock meets the blocks (note – if the outside was masonry construction I would have advised Jim to add a more joint around the window to secure it to the brickwork). The reality is for this glass block shower window (or any home improvement project) the devil – and the future success- of the installation is getting the details right. If you have any questions or insights to offer about glass block shower windows feel to comment or call the number below. To get free estimate on a glass block window, shower or wall project or for nationwide supply contact Innovate Building Solutions (877-668-5888). For a local installation project call Columbus Glass Block (614-252-5888), Cleveland Glass Block (216-531-6363), West Side Glass Block (216-398-1020) or Mid America Glass Block in Akron (330-633-2900). Jessie – unfortunately there is a not a hard and fast rule to apply in all locations. Basically if the frame is deteriorated you’ll want to get it out of there. In all cases we are removing the window sash. Feel free to call us to talk through your specific project. I want to get a glass block installed. One problem, where I want it there is a window already there. Sounds like I need to get it removed. How do you know if you need to remove everything not just the sashes? You did a great job, I hope I can get something similar done.